1. Windy's have excellent padding. The unique padding is designed to provide maximum protection to the hands. 2. The no-nonsense look of these gloves can appeal to people who like classic styled gloves. 3. Leather feels and smells great! Excellent leather quality is pretty evident from the outset. 4. Windy's gloves have excellent wrist support. The Velcro fastener provides a nice snug fit to ensure that your hand won't slip around. 5. The overall construction of the gloves feel pretty solid. 1. Gloves need to be broken in first before the inside padding can become comfortable. 2. There are reports that the gloves have a color bleeding problem. These can probably stain your clothes, bags, and other items it comes into contact with. The hands are always at the top of a martial artist’s arsenal. Whether it’s for boxing, Karate, MMA, Muay Thai, and any other type of martial art, the hands can perform both offensive and defensive moves, as well as assist in balance and control. This is the reason why high quality gloves are essential gear for a fighter- the hands should always be protected from damage and harm as much as possible. Gloves manufactured in Thailand are well in-demand among martial arts circles for their durability and longevity. It might be due to the fact that Thailand has a harsh and humid climate, so the gloves that are manufactured there should be able to weather through tough environmental conditions plus the normal wear and tear of everyday use. 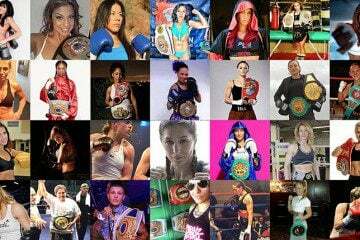 Some of the top boxing glove brands in the whole world are Thai-made; these include Twins, Fairtex, Top King, Raja, Sandee, Boon, and Yokkao. Today, I’ll be focusing on Windy Thai Style Boxing gloves, one of the oldest glove manufacturers in Thailand. Then company has been manufacturing gloves in the country since 1951; and their products have been exported to gyms, dojos, and martial arts centers all over the world. The padding for Windy’s are very different from the padding that can be found in Western-styled gloves. For example, Western brands like Title and Ringside have soft padding, Windy on the other hand, has a padding with a stiff and dense inner layer, and a softer outer layer. The inside of the gloves might feel a little bit weird to people who are not used to hard padding. But amazingly, this kind of protection is actually great at protecting fighters’ hands. The reason for this is that most Thai gloves are designed for use without handwraps (of course, you can still use handwraps with the Windy Muay Thai gloves, just expect that it will be a tight fit). Do take note that these gloves are primarily designed for Muay Thai fighters. Padding is very generous on the knuckles and the back of the gloves (for blocking punches and kicks). There’s also material on the palms of the gloves, to protect the hands when catching the foot of a kicking opponent. Wrist support is great, and the velco fastener ensures that your hand won’t slip when punching. The gloves offer a tight and snug fit around the hands. 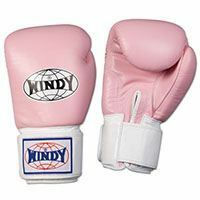 All in all, Windy Muay Thai boxing gloves provide excellent protection all around. But they might need to be broken into for maximum comfort; the gloves can be a bit uncomfortable out of the box for some people, but give it a few weeks and the padding inside will soften and further conform to the shape of your fist. 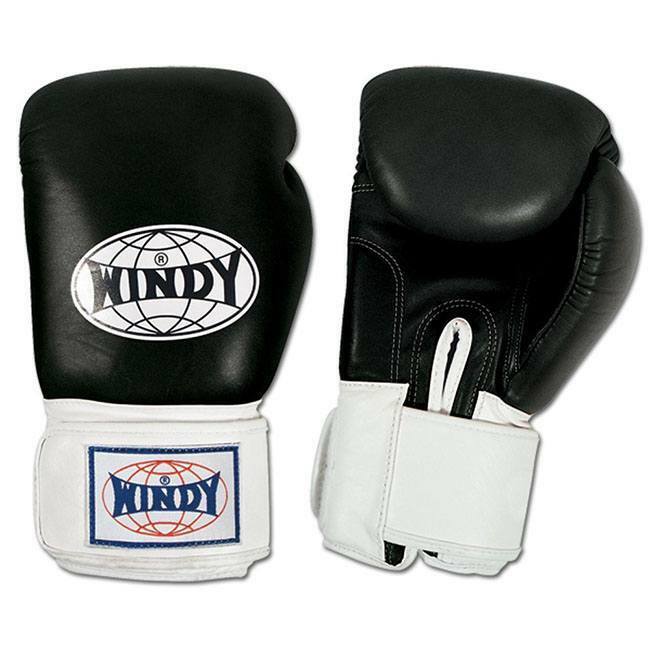 Windy Thai Style Sparring Gloves are made out of durable leather. The quality of the leather itself is evident just by feeling the gloves alone; the material is not too hard, neither is it too soft. It has the right amount of give for working on the heavy bag or for sparring. The stitches look pretty decent too, and there are no frayed edges, uneven stitching, and other kinds of construction defects. The Velcro cuff provides a strong clasp on the wrist- this is a fastener that can probably stand the test of time. Windy’s are very straightforward gloves. There are no fancy graphics and complicated color schemes. 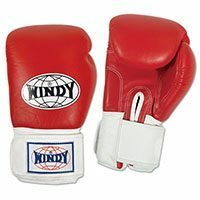 Most Windy Muay Thai gloves come in just a single solid color with a logo print on the back of the gloves and the cuffs. Fell free to add anything you want to this review by leaving a comment bellow!